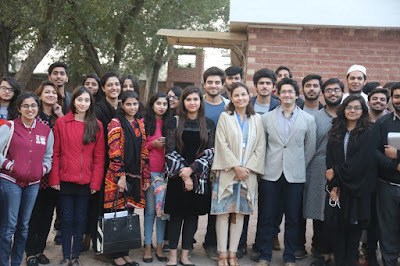 On the 23rd of November, 2017 Lahore School Entrepreneurship and Business Society held its most awaited event of the year, The Business Fiesta’17. Teams got a chance to put forth their business ideas to the most renowned judges. The competition consisted of two rounds. Participants displayed their unique product or service idea. Judges selected and shortlisted six teams who then proceeded onto the second round. These teams presented their ideas to the judges again in a formal slideshow presentation, which included all the financials, budgets, costs and analysis of each business idea. This was followed by a question and answer session by the judges. The winning team Pak Freight, who won Rs. 30,000 for their startup. The second best idea was of Getaway, who were awarded Rs. 20,000, and Siakafat came third and won a cash prize of Rs. 10,000. Mr. Jamal Nasir, Head of Human Resources & Organizational Development at HBL visited the Lahore School of Economics on November 22, 2017 and shared his experience on the banking industry of Pakistan with the MBA students. 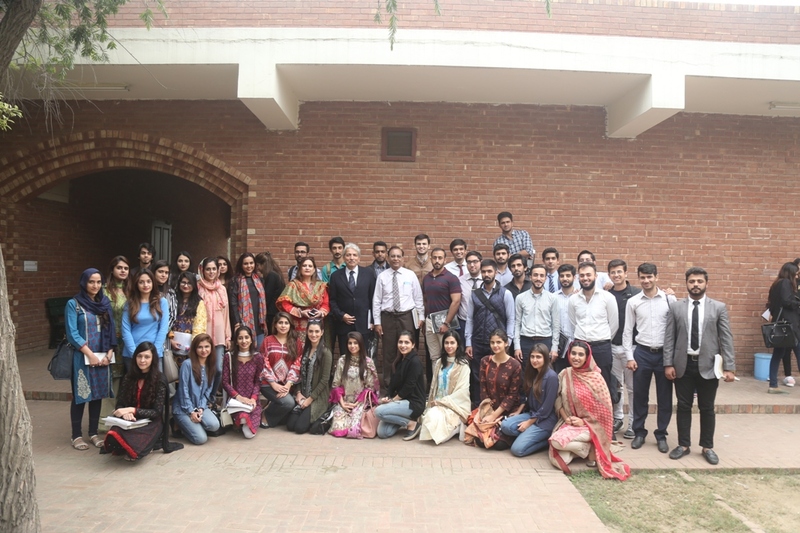 Mr. Arsalan Khan, Sales Head Nestle was in the Lahore School of Economics on November 20, 2017 to share his practical experience of at Nestle. 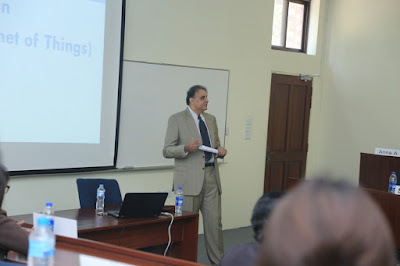 He gave a talk on “Sales Force Management” to the outgoing MBA class. Mr. Khan started his presentation by giving an example of the novel; A Tale of Two Cities written by Charles Dickens, and said that the story mentioned the best and the worst of times. Mr. Abbas Rizvi, CEO of Websketchers visited the Lahore School of Economics on November 13, November 15, 2017 and November 16, 2017 to share his knowledge about Digital Marketing with the undergraduate students. 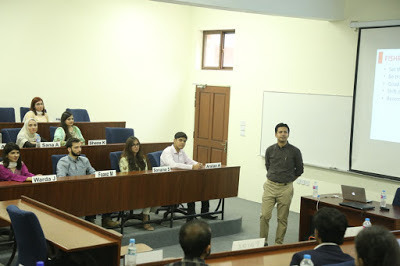 Mr. Rizvi emphasized on the importance of a digital marketing plan. He also talked about the difference between digital marketing, digital advertising, and concept of reach vs. likes and how to reach the right audience. Lahore School of Economics’ Marketing Society (LSEMS) invited Mr. Zaeem Shahid the COO of Maro Tandoors on 1 November, 2017. The session highlighted the significance of the new era of Digital Marketing which Maro Tandoors is well-known for. 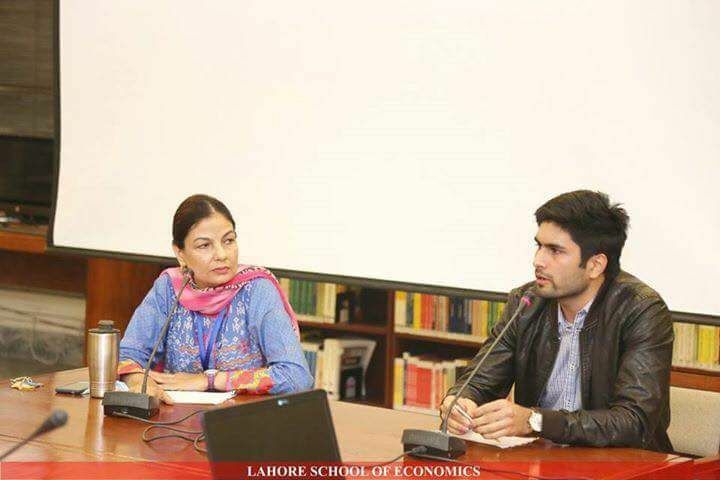 Mr. Zaeem Shahid explained all adversities and struggles that came along with this venture and how his understanding of the market, forming a new product, and promoting it made it a huge success that it is today. He also gave his insights on how they brainstorm their business and marketing strategies and why they have been so successful. As an Entrepreneur, Mr. Zaeem believed that the ‘First Step’ is always the hardest yet the most imperative towards starting up a new venture. 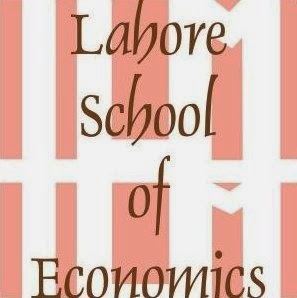 The Lahore School of Economics Marketing Society (LSEMS) hosted an Ad-Buzz Competition on 23rd of October, 2017. The competition was based on several TV commercials followed by some intriguing marketing related questions. The participants comprised both undergraduate and postgraduate students of Lahore School. The TVCs were based on both local and international award-winning ads carefully handpicked to make the competition intense. Each TVC was followed by questions related to target audience, budgeting, appeals, positioning, brand association and many other marketing related concepts. 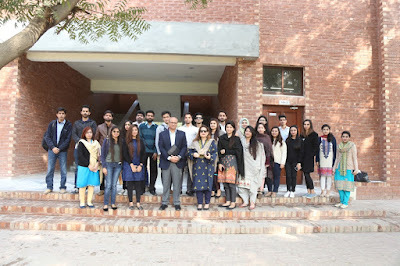 Mr. Omar Zaman, Senior Brand Manager Leisure Club, visited the Lahore School of Economics on November 15, 2017 to deliver a lecture on “Strategic Management” to the final year undergraduate students. 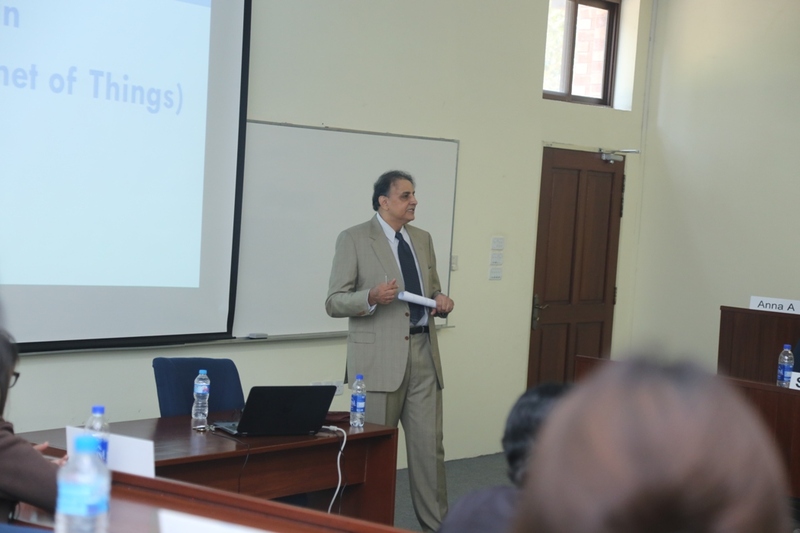 Mr. Zaman talked in detail about the concept of leadership and strategic management in Pakistan. The speaker also discussed Leisure Club’s vision, mission and values. A delegation from Lahore School of Economics Entrepreneurship and Business Society visited PlanX on 10 November 2017. 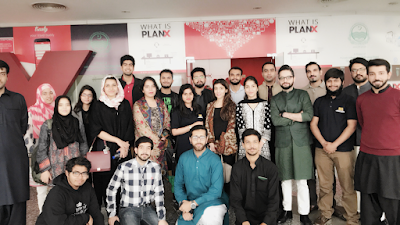 They were briefed about the PlanX Acceleration Program by their Director and Program Manager Mughees Tahir. The overview of PlanX was followed by a pitching session by their current Startups. The students also visited the facilities of PlanX and had the opportunity to witness some live 3D-printing in action. 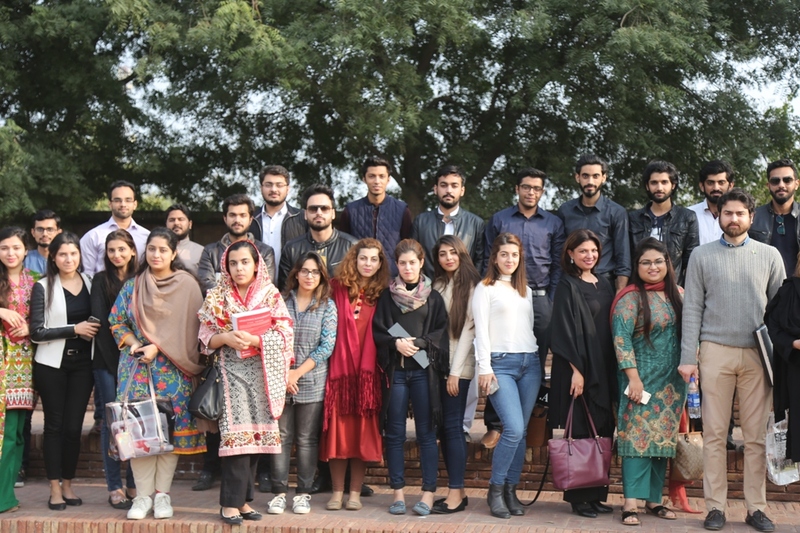 Ms. Maryam Wazirzada, a researcher, a trainer and business partner of Iris Communication visited the Lahore School of Economics on November 10, 2017 to share her vast knowledge and experience as a marketing researcher with MBA students enrolled in the course of “Marketing Research”. Ms. Laraib Atta, VFX Artist - Double Negatives along with her brother Mr. Sanwal Esakhelvi visited the Lahore School of Economics on November 09, 2017 to share their success story with the MBA graduating class. Ms. Laraib is currently working in London with Double Negatives, one of the best VFX companies. Ms. Atta has worked on big Hollywood projects at a very young age. Some of her famous work includes X-men, Godzilla, Gravity and Prince of Persia. Mr. Sanwal is an electronic musical producer. Mr. Shahzed Ahmed, General Manager MullenLowe Group visited the Lahore School of Economics on November 9, 2017 to give a talk on “Consumer Behavior” to the MBA graduating class. Badar Khushnood, cofounder at Bramerz, delivered three sessions on e-commerce and digital marketing to MBA students at the Lahore School from 31st October to 2nd November, 2017. Badar is an alumnus of the Lahore School, class of 1998. 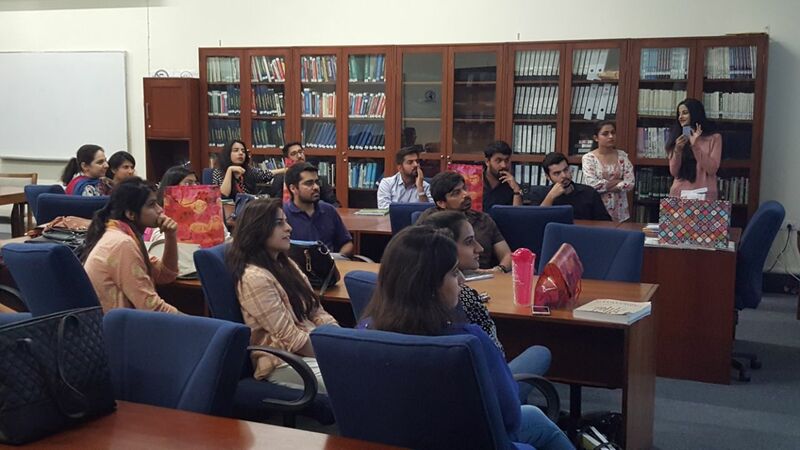 His talk was wide-ranging and covered various aspects of e-commerce and digital marketing in general and Pakistan in particular. Badar noted that Pakistan was at a take-off point in e-commerce. 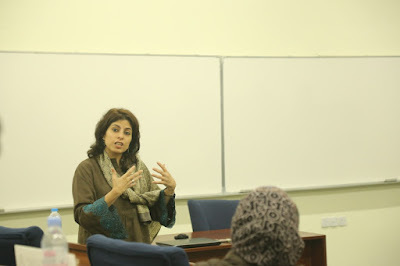 He shared very interesting digital media and ecommerce statistics especially related to the Pakistani market. The population is large (200+m) and young (~70% under the age of 30). Pakistan had 50 million internet users, with some 130 million mobile connections and 47+ million users of 3G and 4G. The habits of young Pakistanis have changed as reflected by their touch point of mobile phone to access information. Mr. Hamid Zaman, Managing Director Sefam Pvt. 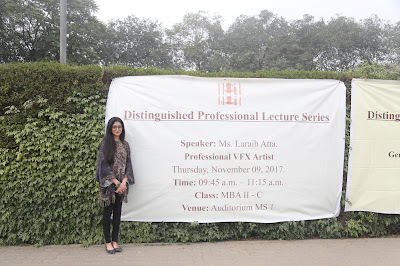 Ltd was invited to Lahore School of Economics on 6 November 06, 2017 to deliver a lecture on “Strategic Management” to the graduating BBA class. 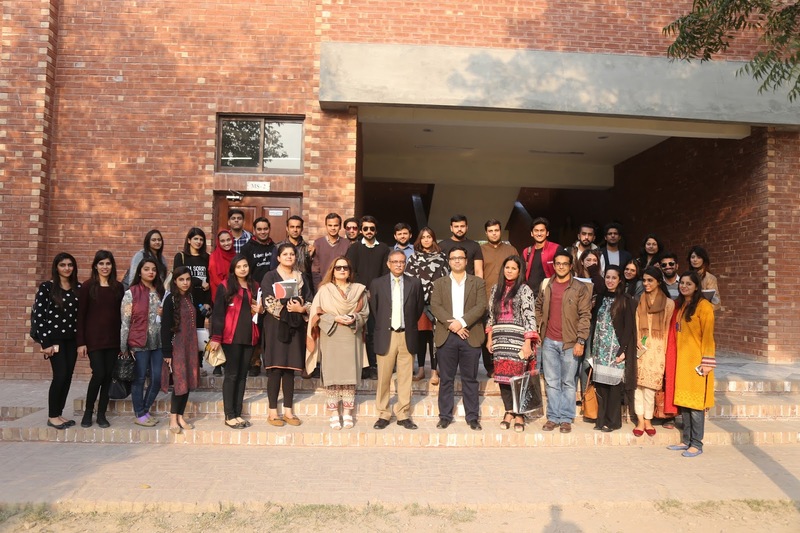 Mr. Haroon Waheed, CEO – SYNGRO Consulting, was invited to the Lahore School of Economics to deliver a lecture on “Strategic Management” to the outgoing BBA students on November 01, 2017. 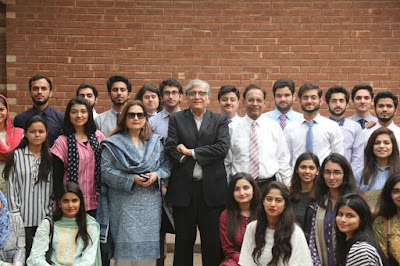 Mr. Haroon Waheed told students to be passionate and have their unique selling point. He explained to the students that each and every one of them was a product and that it was vital for them to learn about themselves so that they should market themselves better to their prospective employers. He stated that corporations looked for the whole package and always wanted to hire a mix of passion and attitude. He encouraged the students to make a positive change and contribute to make a difference in the lives of others. The speaker then explained how strategy was about shaping the future. 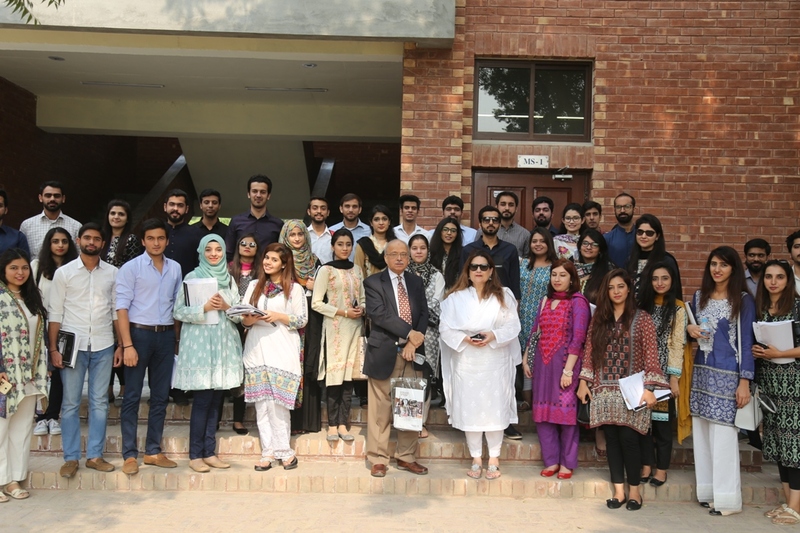 Hafiz Aftab, Chairman and CEO – Aftab Associates was in the Lahore School of Economics to deliver a lecture on “Marketing Research” to the MBA final year students on October 27, 2017. 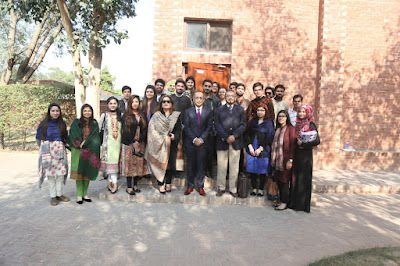 Mr. Aftab briefed the students on his company and its nature of business. He also discussed the importance of innovation and product development. He said that market research leading to innovation and product development was the key to successful business in today’s competitive world. 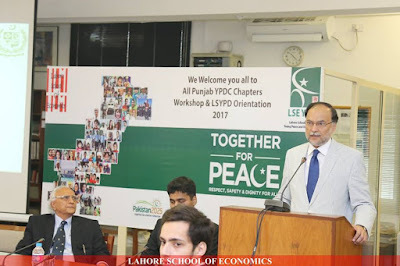 Punjab Young Peace and Development Corp Chapters Workshop and Lahore School Young Peace and Development Corps' Orientation 2017 was held at Amjad Chaudhry Library at the Lahore School of Economics on 30 October 2017. Professor Ahsan Iqbal, Minister for Interior and Planning, Development and Reform, was the chief guest. 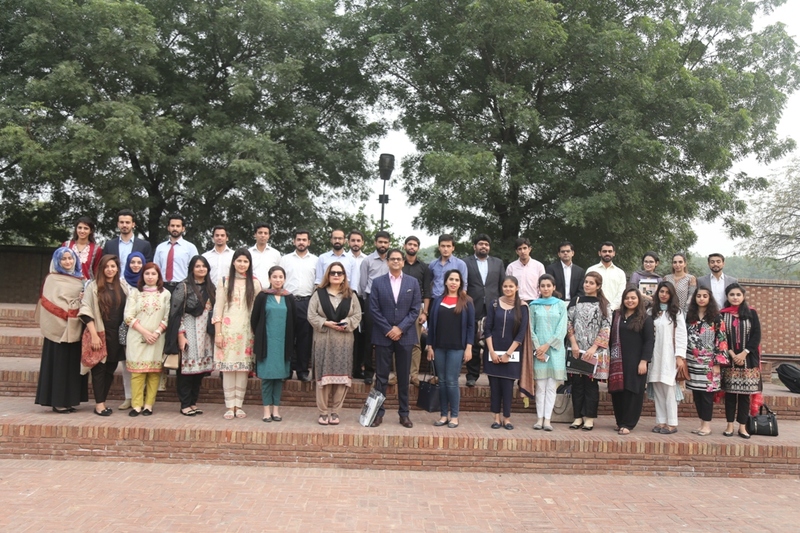 Dr. Shahid Amjad Chaudhary, the Rector Lahore School, faculty and large number of students from different chapters of Young Peace and Development Corps were present. He announced that YPDC will soon be offering opportunities to 200 youth leaders to work in multinational organizations all over the world through the platform of YPDC. His speech was followed by a question and answer session where the Federal Minister interacted with the audience and answered their queries.